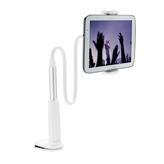 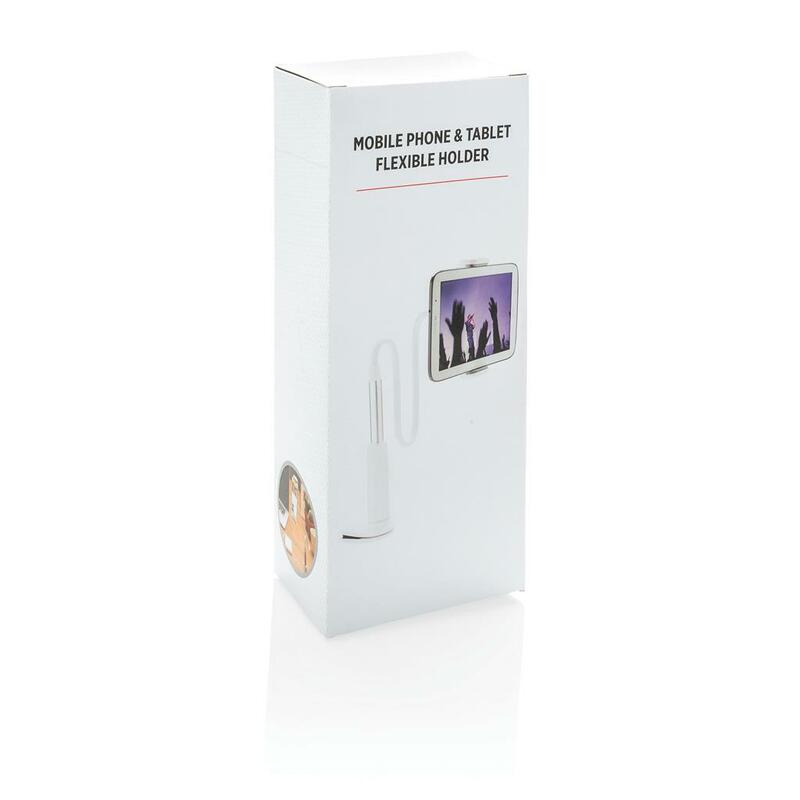 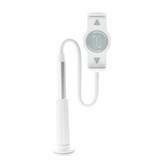 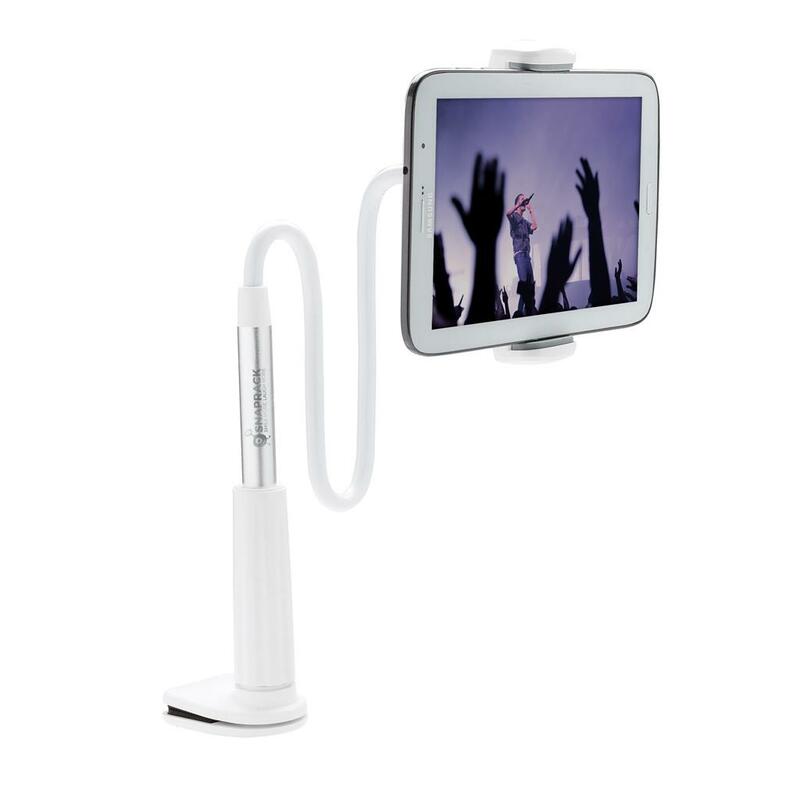 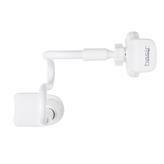 Flexible mobile phone and tablet holder to enjoy using your multimedia hands-free when at home or in the office. 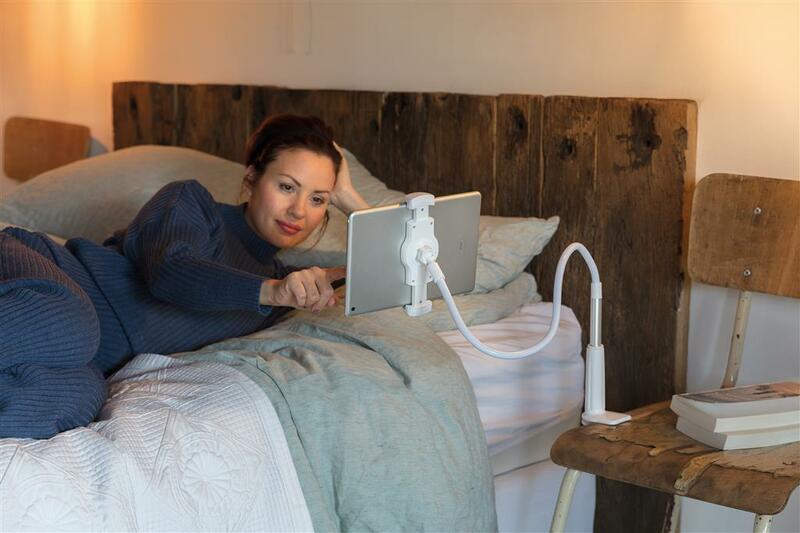 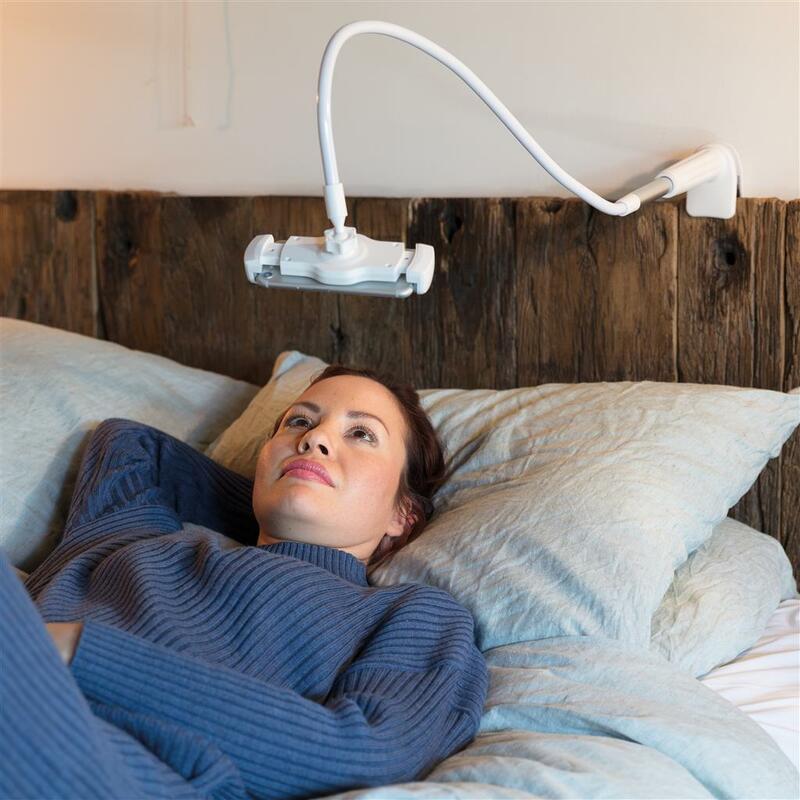 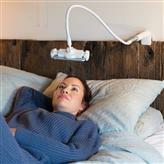 Simply mount the holder on your table, bed or other object and create a unique experience. 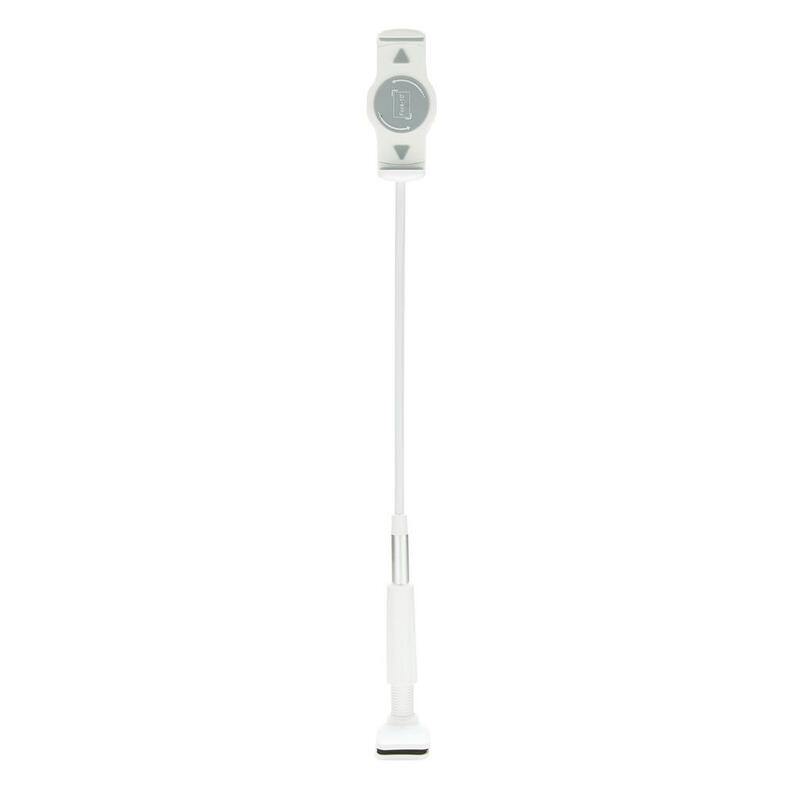 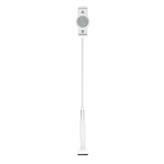 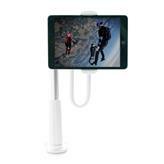 The flexible holder is 80 cm long and super strong to hold even bigger sized tablets. 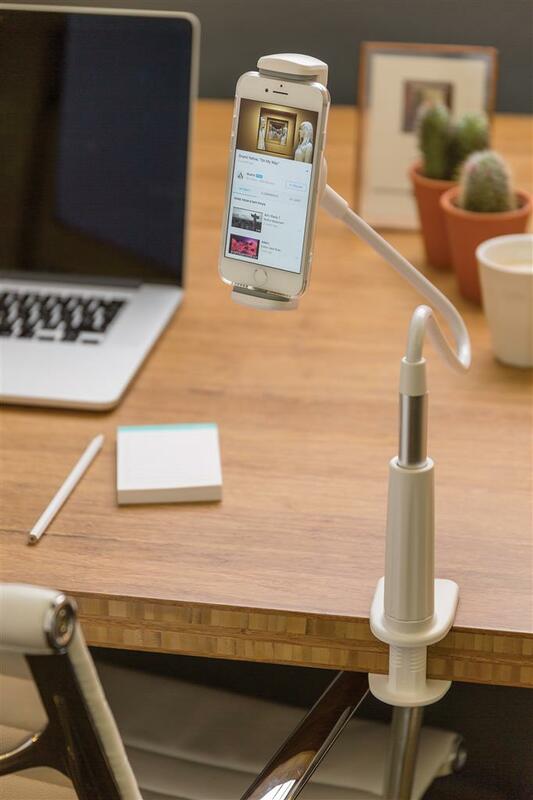 Made out of ABS and aluminum material.